A white globe shaped flower with fragrance. 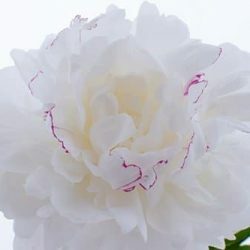 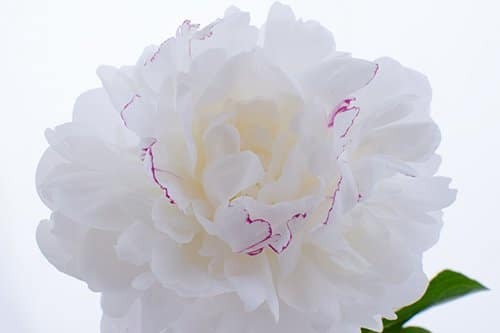 The White Peony Flower have beautiful white blooms with pink edges around center petals. 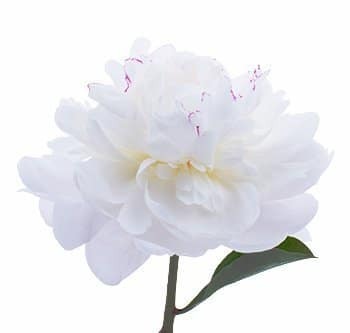 A classic favorite for elegant weddings and events.